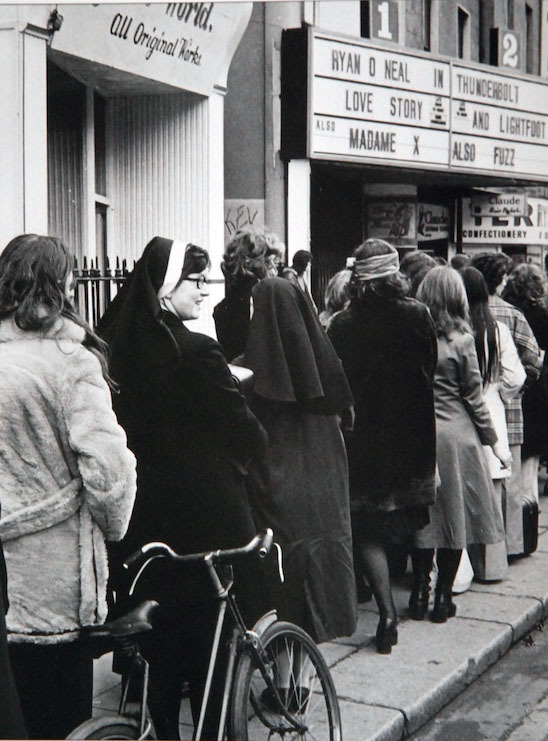 A queue for Love Story at the St Stephen’s Green Picture House (known as the Green) in 1971. Many nuns were not allowed to go to the theatre, but because films were censored, they were allowed to go to the cinema. The Green opened in 1935, one of the first to deviate from the lavish style of early cinemas, offering a more relaxed experience with less overbearing décor. The cinema survived until 1987.